Less than a month after achieving quantum entanglement over a record distance of 1200 km, the team of Chinese scientists from the University of Science and Technology of China have made yet another breakthrough in quantum communication, demonstrating long-distance free-space quantum key distribution in daylight according to a report in state media outlet, Xinhua. This is another step towards laying the foundation for a satellite constellation based global quantum communications network, which would be unhackable. The physical properties of quantum entangled particles are correlated and the correlation persists regardless of the distance separating them. Distribution of entangled particles over large distances could be used to establish unhackable communications via quantum cryptography. Any attempt at eavesdropping would be detected as a measurement on one of two entangled objects would break the entanglement correlation. Hence, it is impossible to wiretap, intercept or crack information transmitted. The news report explains that long-distance free-space quantum communication experiments could only be performed at night till now. Because during daytime, the bright background sunlight prohibits quantum communication in transmission under conditions of high channel loss over long distances. 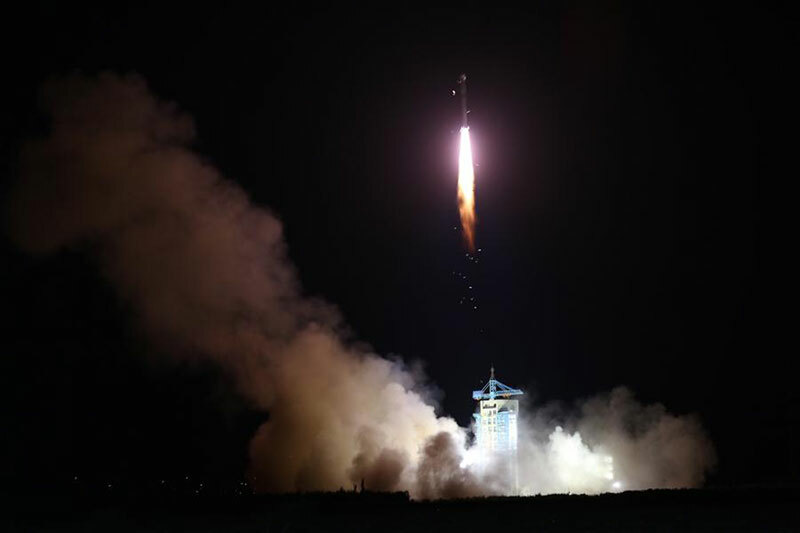 Therefore, the world&apos;s first quantum satellite, Quantum Experiments at Space Scale (QUESS) or Micius launched by China in 2016, could only transmit photons at night. The team from the University of Science and Technology of China led by Pan Jianwei, an academician with the Chinese Academy of Sciences, overcame the sunlight noise issue and demonstrated free-space quantum key distribution over 53 km during the day. They choose a working wavelength of 1,550 nm and developed free-space single-mode fibre-coupling technology and ultralow-noise upconversion single-photon detectors. The technological breakthrough was announced on July 25 in the Nature Photonics journal. "Our experiment has proved the feasibility of satellite-based quantum in daylight, and laid a foundation for a satellite-constellation-based global quantum network," said Pan. China is aiming to set up the first-ever global quantum communication network by around 2030, through a linked satellite constellation, consisting of dozens of quantum satellites and ground-based quantum communication networks. Earlier this month it was revealed that the city of Jinan, the capital of east China&apos;s Shandong Province will soon start using a quantum communication network connecting the Communist Party and government bodies.